Now that the international break is finally over we can resume our regularly scheduled Premier League matches with week five returning this weekend. I’ve never been a fan of these international breaks and the most recent one was just annoying despite the yearly occurrences. It is such a massive interruption and I definitely prefer club football over internationals any day. 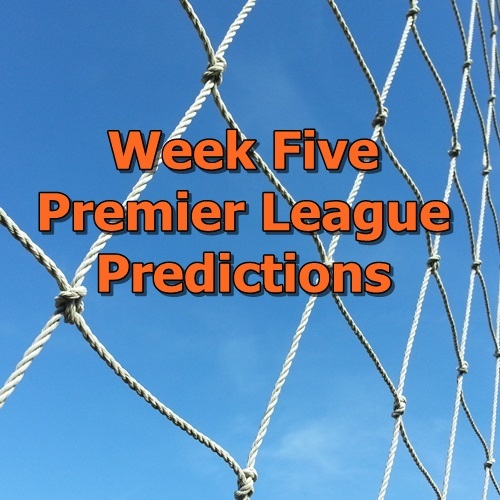 Enough of the complaining and on to the predictions for another weekend of EPL action. Chelsea have yet to impress this season, but I’m still picking them to open the weekend with a win. I don’t have much faith in their defense and have a hard time seeing them keep a clean sheet. If you are looking for some decent fantasy Premier League stacks this weekend there really aren’t any great teams to look at. Man City have started out the year strong and should continue this weekend, but they have a lot of expensive players. I’ve predicted goals in several matches that you could look at including Norwich v Bournemouth and West Ham v Newcastle. Sunderland are still poor, making Tottenham a solid pick for this weekend across all positions. The Black Cats did show some signs of life with their week four 2-2 draw away to Aston Villa along with some moves in the transfer market. Regardless of what happens this weekend it should be interesting. If you are looking for more Fantasy Premier League tips you can read my weekly posts over at Togga. While you’re there sign up for the Perfect XI game and join the Premier Soccer Chat group: https://www.playtogga.com/perfectxi?TG_DL=4&TG_XILRID=BC9KYH9JSN (referral code: BC9KYH9JSN) and read all of their great fantasy tips.